President-Elect Donald Trump will soon give his inaugural address. Researcher Vanessa Beasley will give an analysis and talk on the address at 7 p.m. Monday, January 23, in Capen Auditorium (Edwards Hall) on the Illinois State University campus. 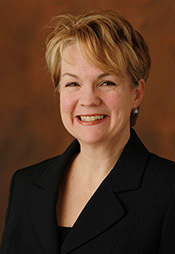 Beasley, the director of the Program of American Studies at Vanderbilt University, has researched and published about political communication throughout her career in academia. Her work includes the study of every inaugural address from 1885-2000–as well as other presidential rhetoric. The free event is presented by the ISU School of Communication Promotion and Development team (SoC PD) and sponsored by the ISU Student Government Association, the ISU Women and Gender Studies Program, Harold K. Sage Foundation Fund, and the Illinois State University Foundation. An associate professor of communication studies, Beasley is the author of the books You, The People: American National Identity in Presidential Rhetoric, published in 2004; and Who Belongs in America? Presidents, Rhetoric and Immigration, published in 2006. Her areas of expertise include the history of the rhetoric of American presidents, political rhetoric on immigration, and the relationship between politics and the media. For more information, contact Anna Cachares at aecacha@ilstu.edu.